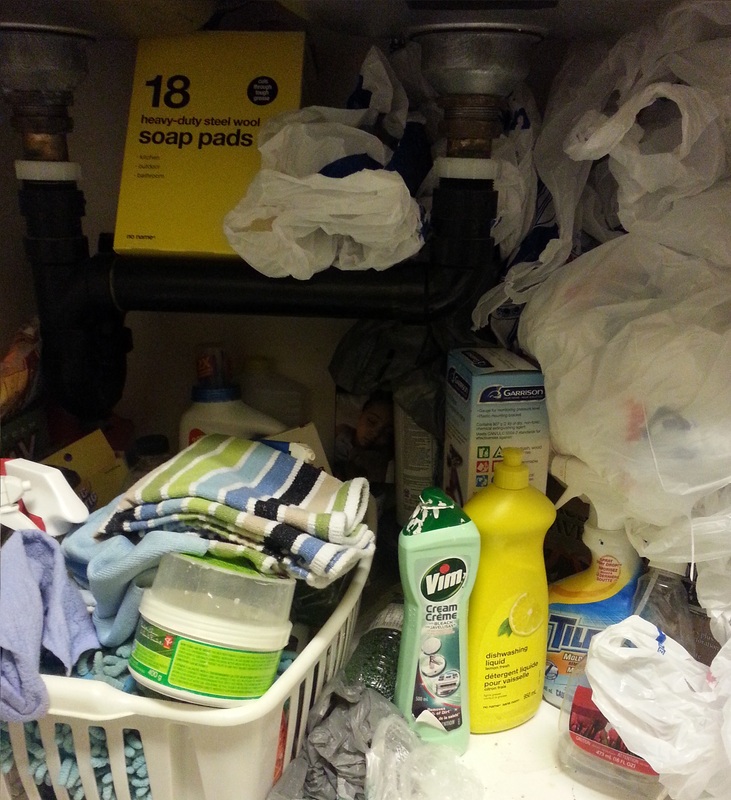 Once in a while take all that junk out from under your sink and check for moisture. You may have a very small leak and not know it. These small leaks can rot the bottom of your cupboards and cause mold… and you can get rid of that rusty can of Silvo you’ve forgotten about while you’re at it. If you have a leak and need to have it looked after Call us today! This entry was posted in Tuesday Tip of the Week, Uncategorized and tagged affordable plumbers, barrhaven plumbers, leaking under sink, licensed and insured plumbers, nepean plumbers, ottawa plumber, ottawa plumbers, plumbing kanata, plumbing ottawa, plumbing problems, plumbing tips, shut offs, stittsville plumber, traps and taps plumbing, under sink mold.